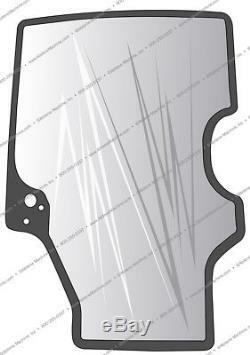 Front Windshield Glass AMI Part Number : AM87635930 Applications. Replaces OEM Part Number : 87635930 Notes : Weight - 18.00 lbs. DO NOT checkout to pay for this item yet. AMI will send you a new invoice. The item "87635930 Front Windshield Glass New Holland L160 L170 L180 ++ Skid Steer Loaders" is in sale since Monday, December 18, 2017. This item is in the category "Business & Industrial\Heavy Equipment, Parts & Attachments\Heavy Equipment Parts & Accessories\Tractor Parts". The seller is "abilenemachinesales" and is located in 67480. This item can be shipped to United States.